Thanks to everyone that came out to last night’s presentation on Herbs to Enhance Our Lives. It was a wonderful group, and quite a crowd! Here is the information I promised you about Harvesting and Preserving Herbs. Enjoy the information and the Basic Herbal Vinegars recipe! I have included a PDF of the information below for those who want to download it. • It is best to harvest herbs before a plant flowers; take cuttings in the early morning to maintain highest amount of essential oils. • Never cut off more than 50% of a plant at one time. • It is easier to gather and dry (or otherwise preserve) small amounts of cuttings throughout the season. So, keep a couple of rattan paper plate holders handy to air dry your small batches of cutting on top of the refrigerator. • Herbs that taste best frozen, not dried: chives, parsley, basil and tarragon. Freezing is a better way to preserve the flavor.Any of these can be dried, but will have best flavor if frozen instead. • Freezing – Finely chop the leaves and fill an ice cube tray with them. Top with water and freeze.1 ice cube of frozen herbs are equal to 1 teaspoon of dried. • Drying – Bundle and hang upside down, in a dark, warm, airy place. • Oils – 2 large (or 3 – 4 small) springs of an herb in up to 3 cups of oil. Daily, gently shake daily for minimum of 2 weeks. Keep refrigerated. • Vinegar – 1 cup of herbs per 4 cups of vinegar. Daily, gently shake, test after 2 weeks. • Butters: add finely chopped herbs softened butter and freeze until needed. Bruise the leaves of the herb(s) and put into a clean glass jar. Pour the vinegar over the herbs and cover (with non-metal lid). Shake the jar once a day for at least a week. Sample the vinegar after 7-10 days. If you like the flavor at that point, pour the vinegar through a paper coffee filter into a sterilized bottle in which you will store the final product. Discard the bruised leaves and put a couple of fresh sprigs into the jar. Cover the jar with the lid and seal with paraffin if you choose. Label and date your product. To insure clear, unclouded vinegar be sure that the rinsed herbs have no water droplets on them prior to adding to the vinegar. 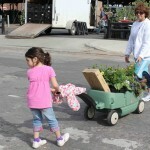 Paula Kraus is a Master Gardner and owner of ’Seven Sisters Herb ‘N Garden’. 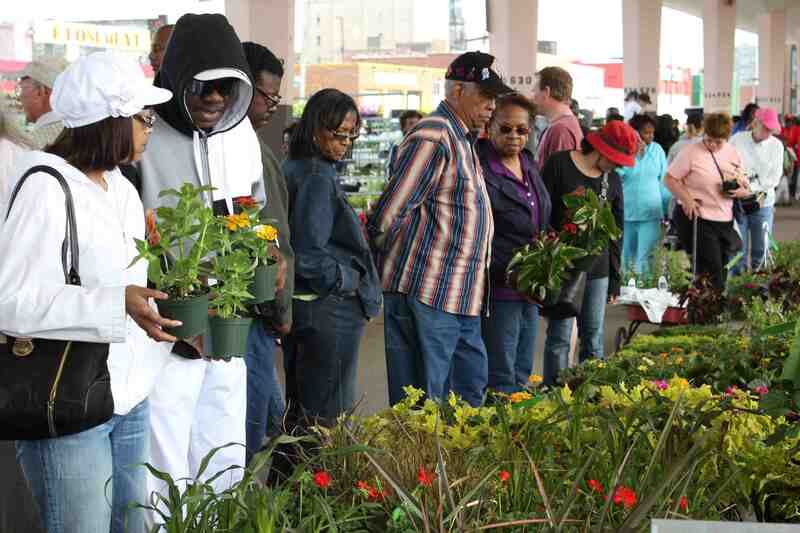 She specializes in herb gardening, landscape restoration and plant plug horticulture. “Are you ready for some ‘Exotic Love’?” WOW, look at all of the hands shoot up! Well, let me rephrase that – “Are you ready for some ‘Exotic Love’ in your garden?” Okay, okay, everyone can put their hands down now. ”How about a little Mini Lobata?” Great! Now I know who the real gardeners are! 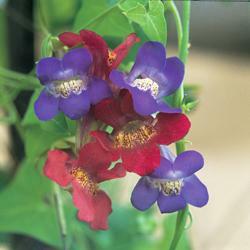 This awesome annual vine choice is called – you guessed it – ‘Exotic Love’ (aka Fire cracker) vine. Botanical name: Ipomea lobata aka Mini Lobata. 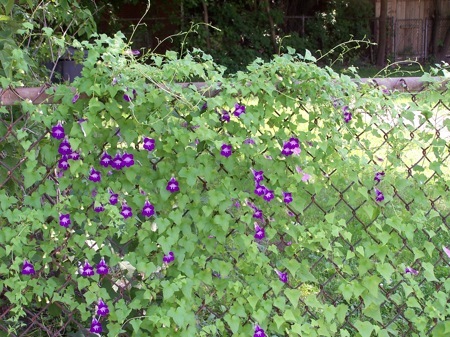 This vine will make a perfect addition to your Earthen Garden, but requires full sun and has a mature height of 8 to 10 ft high. There are multiple flowers per arching tendrils. The color of each flower ranges from orange at the base to pale yellow, then white at the tip. Use as filler / spillers in a fall flower bouquet. Exquisite! You’ll find this climber easy to grow from seed, although it takes three to four months from seed to flower. Consider finding this plant as a plantplug. If you choose to grow from seed, here’s an insider tip. To get the fastest germination use the outer edge of a pair of finger nail cutters to barely nick the ridge of the hard shell. Then soak the seeds over-night. Plant the now-swollen seeds in a professional potting media and wait for the sprouts to pop. Start indoors 5 – 6 weeks before the final predicted frost date. Germination takes about 7 – 10 days at a temperature of 65 degrees. Additional light is required to keep the seedling from stretching to the point they become weak and leggy. You will need a grow light bulb or a shop-light set up on an adjustable length cable. Keep the light approximately 2 inches above the tips of the seedlings. As the last frost date approaches you will need to harden off the seedlings by leaving them outside, in a sheltered area, for just a few hours each day. Add a couple more hours and a little less shelter after the first week. After the last frost, plant your vines near a support structure … a fence, trellis, light or mail post.. This gem climbs 10 – 20 ft high… or long, if you let it stretch out in your Earthen Garden on your favorite fence! Paula Kraus, Advanced Master Gardener and Earthen Garden (http://earthengarden.com) guest columnist, will be a guest speaker at Novi, Michigan Public Library on May 23, 2012. Paula will introduce us to a variety of culinary / scented herbs throughout her presentation. She will cover suggested container garden materials and offer tips to keep container plants thriving through the growing season. Using a selection of scented herbs, Paula will demonstrate basic container garden design elements, and assemble a container garden to be offered as a free raffle prize! If time permits, she will also demonstrate how to make a basic ‘basil pesto’ for audience tasting. It’s a great new year – It’s 2012! Yes, it’s finally here! The year the Mayan people threw in the towel and said “Im done – I’m tired of making calendars. Let’s go get a beer!” I guess it had to happen sometime. A lot of people think this is the last year of the world – the end of all time – the end days. But, why now? Why in my lifetime? I mean, I’ve been a good guy. I’ve paid my bills on time and been a decent father to my kids, and a good mate to my – er, mate. Couldn’t the Mayans have put the ‘end of the world as we know it’ off for maybe another couple of thousand years? Maybe even just a few hundred years? Would it have killed them to continue the calender even if their heart wasn’t in it? Ya know, to give us new-age earthlings a handful more of generations of carbon-based humanoid life forms. Okay, I think I can hear someone out there saying “yea, give us some more time to destroy ourselves with nuclear holocaust.” See, and that’s just the attitude that keeps us all in despair. I think the world’s population is on the brink of a golden era. A time of great peace and joy. A season of prosperity unlike any other in recent, or even distant history. “Let the sun shine in! Open up your heart and let the sun shine in – sing along with the fifth Dimension!” , isn’t that how the song goes? Something like that anyway. I always had mixed feeling about that song, but I’m diggin’ it more now than ever before, because it is so uplifting! That’s what we need more of in the world. We need positive expression. We need to release our inner happiness to the world. What’s that you say? Maybe there isn’t a whole lot of ‘positive’ to go around these days? Well, I think there is. I believe we just need to express it more openly, and more often. If everyone would turn off the damn TV - stop listening to the hate mongers on the news, and begin interacting with their fellow man/woman, I believe the true joy within us will become so evident that it will be undeniably overwhelming! If we all start tuning out the television’s negative message of gloom and doom, and tune into our family and friends and neighbors, we will see that we are a much happier civilization than we are told by the media. Maybe the Mayans just got fed up with the work involved making that calendar, and decided to rejoice in the beauty of the day. Bathe in the wonderment of the ‘now’, and let distant future generations wake up, and realize that they need to do the same. Maybe “happy is what happy does.” Maybe 2012 is the new beginning we all have needed – it just took the ancients to open our eyes to the joyful life we all should be living! Anyway, that’s my ’2012 new years wish’ to the world. In this season we all take time to reflect upon the special moments that make up the world we live in. Our successes and our sorrows, our laughter and tears. It is a time to look back at our periods of growth and stagnation and analyze the impact on our lives. My wish is that there has been more growth in your life than the year before, and that you can point to positive lessons learned that will bring about a brighter future for you and your family! Have a safe 2011 holiday season and get ready for one hell of a 2012! Asarina cascading off of a fence in the spring. If you’re looking for some eye candy for your Earthen Garden with varieties that love to bask in the heat of the sun, and some that can also dazzle you while they are ‘made in the shade’ - look no further than Asarina – aka climbing snapdragons. This annual beauty is a show-stopper. 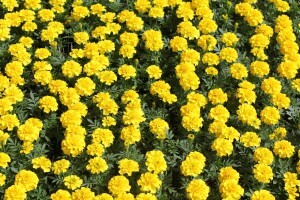 A couple of plants provide a mass of 1 – 3” long snapdragon-like flowers amid the 6 – 8 climbing vines, or in hanging baskets. 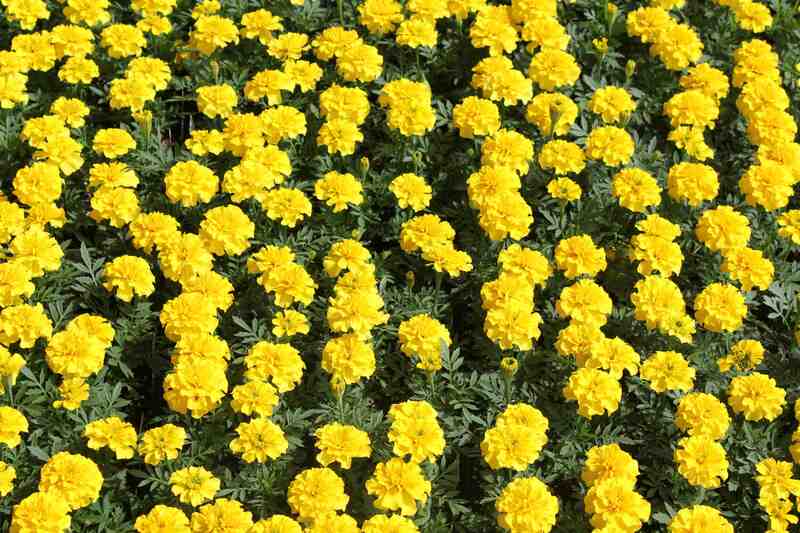 Most varieties thrive in sun, though some handle part-shade. Start indoors two to three months before the last frost. Press into soil but do not cover. Needs light to germinate. Kept at 70-75° F., germination is in 14-21 days. When seedlings have several sets of true leaves, transplant into individual containers. Additional light is required to keep the seedling from stretching to the point they become weak and leggy. You will need a grow light bulb or a shop-light set up on an adjustable length cable. As the last frost date approaches you will need to harden off the seedlings by leaving them outside, in a sheltered area, for just a few hours each day. Add a couple more hours and a little less shelter after the first week. 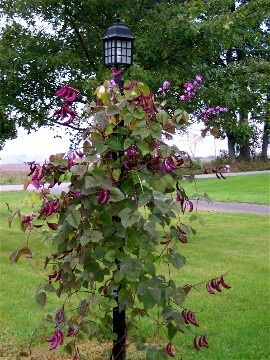 Hyacinth bean vine climbing an elegant lamp post! Varieties include: ‘Red Dragon’ Scrophulariaceae Syn. Maurandya – A unique variety with amazing giant flowers, up to 3in long in carmine-red, flowering from midsummer that will look wonderful in summer baskets! Asarina antirrhinifolia Scrophulariaceae Syn. Maurandya – Late Spring to frosts. Vigorous climber with unusual and very pretty 1” long snapdragons that will thrive in sun or shade. Asarina is a climber you won’t want to pass up if you’re looking for a eye-catching vine! Don’t waste that water! Recycle, replenish and nourish! In the course of doing dishes I used to turn on the water and let it run while I rinsed dishes scrubbed pots and did general clean up. Not any more! Some years back I came to realize all of the water that was being sent right from the tap straight to the drain. What a waste! I’m embarrassed to think of how many gallons of clean water I sent back to the water treatment plant for re-processing for no reason. Not anymore! Now I live smarter. I conserve water, nourish my plants, and save the water treatment plant from extra work – all at the same time. Here’s how: Take a dish pan, large pot, empty plastic coffee container, or anything similar and place it under the water faucet. Capture and save the overflow water and put it to better use. When the overflow container gets near full – pitch the water in your Earthen Garden. Don’t forget your container gardens – they need extra water since they cannot pull water from the earth naturally. If you are rinsing off plates, use the ‘grey’ water that comes from your overflow container. This overflow water is perfectly good for pre-cleaning other dishes. Got pans that need soaked for a while to loosen the stuck-on food? Soak them with overflow water – your pots won’t mind. After soaking – throw the water on the lawn, or in your garden. Make sure there is not an abundance of debris in the water before throwing. A little dish soap in the water is just fine, it won’t hurt the plants one bit! The plants in your Earthen Garden will love you for watering them, and you will be re-cycling naturally instead of shipping the water back to the processing plant where it will take energy to re-clean the H2o to convert it back to drinking-water status. Sure it takes more effort to carry the water outside, but it can put a smile on your plants face, and be a little step toward making the world a better place to live! So, you wake up in the morning, and you’re running late. You head for the shower, and turn on the hot water full blast. But, instead of hot water, you get cold. You can’t afford to wait – you’re late! Unfortunately, you’re stuck standing there, waiting for the water to eventually get warm, so that you can jump in. As if to add insult to injury, you watch helplessly as gallon after gallon of perfectly good, clean water goes swirling down the drain, like quarters rolling into an open sewer grate on a city street! What a wast of time, energy, water and money! You are finally in the shower, and as you lather up the soap, you grumble “There’s got to be a solution to all of this!” You’re right, there is! It’s an ingenious concept of introducing a recirculating loop sometimes referred to as an on-demand pump. Let’s examine the most unique and energy-effecient of these devices – one with a funny name called the “Hot Water Lobster”. The “Hot Water Lobster” is a tested, reliable device that has but one purpose; saving water. The mechanism gets hard plumbed between your hot and cold water pipes, usually at the furthest point from the hot water tank in your water supply line. The principle of the device is simple, but clever and dead-on efficient. A thermostat placed between the hot and cold pipes senses when the hot water in the hot water line cools below a user-determined temperature. When the once-hot water does get too cool, the valve inside the “Hot Water Lobster” opens to circulate the cooled water into the cold water pipe; thus preventing the cooled once-hot water from being let out of the tap, and down the drain. Pretty clever, eh? At this point, a thermo reaction automatically takes place within the water lines and hot water tank. The hot water from your hot water tank slowly begins to circulate toward the open valve in the “Hot Water Lobster”, and brings the nice hot water right up to the hot water tap where it belongs. When the hot water and hot water tap meet, all is right with the world! The next person that walks up the the sink or shower, will get hot, or acceptably warm water (depending on how long since the water was used last), and not a blast of ice cold water running down the drain. All of this ‘magic’ takes place without you lifting one finger, or having to even think about the process. I call that pretty awesome! Water circulating devices have been on the market for some time - the “Hot Water Lobster” has been sold since 2003. Other circulation devices exist, mostly in the form of electric circulation pumps. The significant difference among these solutions is that the “Hot Water Lobster” requires no electricity. 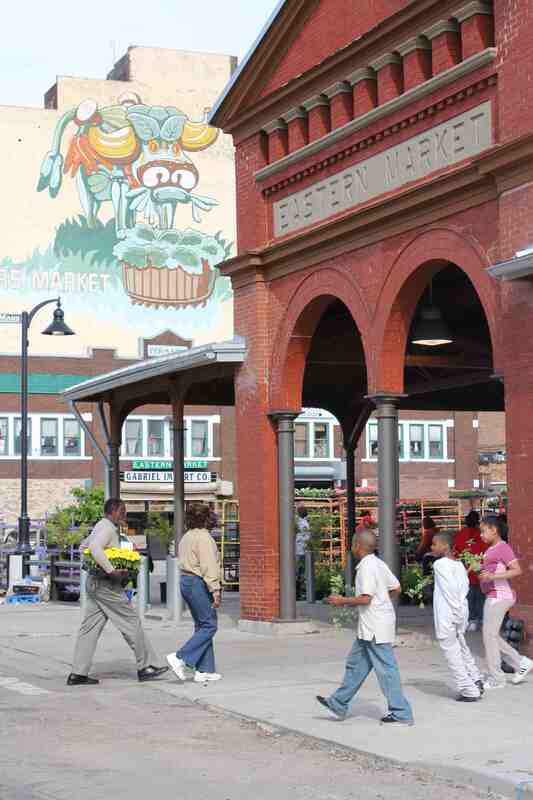 That’s a very big deal for locations that would be difficult to run electricity to. No wiring means less expense and more savings for you. Not only no electrical expense for installation, but no electrical operating expense either. The water movement is accomplished when a thermo reaction takes place between the hot and cold water temperatures within the water lines. Saving on electricity is a good thing. Go green! As many of us have come to realize that we cannot keep taking from the earth, and wasting our natural resources, saving precious water is a no-brainer. Why would you want to dump thousands of gallons of water down the drain if it can be avoided? Now that you know how you can avoid water waste, and have more hot water ready on demand, check out this low-cost solution at http://avoidfrozenpipes.com/ or Hot Water Pronto! Buy the Hot Water Lobster Today! http://hotwaterpronto.com/ Saving the planet by saving water is not only a trendy thing to do, it’s the right thing to do! One of my favorite creative uses of fennel seeds are Fennel Seed Cookies. They are a refreshing change from Shortbread and Chocolate Chip cookies, because of the wonderfully distinctive flavor of Fennel. It has the texture and taste of a crisp cookie with slight licorice flavor. Check out the following recipe! Mix together butter, fennel seeds and salt. Beat in sugar, then egg. Combine flour and baking powder, then add to first mixture. Chill for at least 2 hours. Grease cookie sheet. shape into small balls; place on sheet and flatten by pressing with floured bottom of a glass. Bake at 375 degrees for 5-10 min. out everything from hard-to-find specimens that will add a unique flair to their Earthen Garden to the more common fillers that will bring a tried and true look to the back yard. 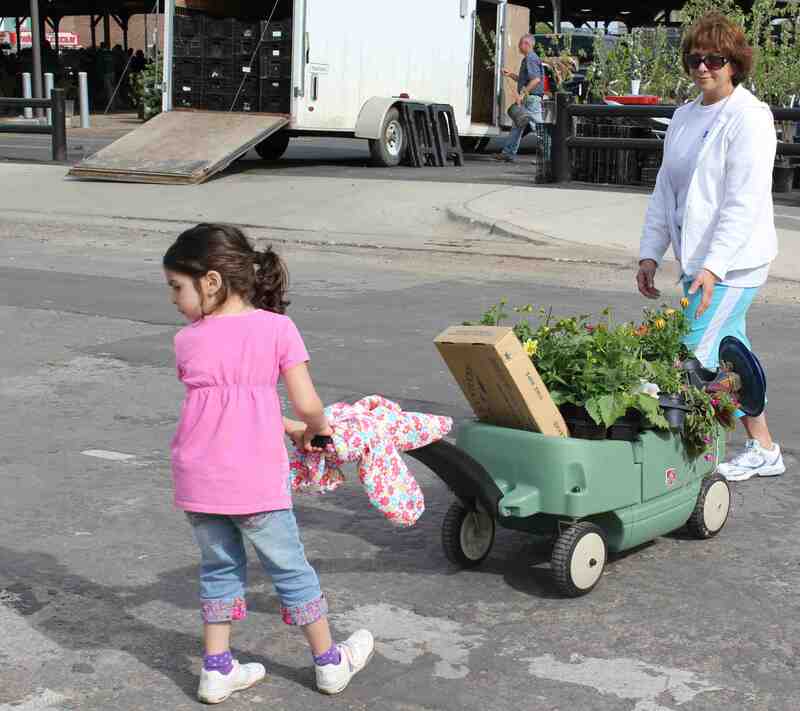 Many regular shoppers to the annual event knew to bring their own wagons, baskets and shopping carts to carry the flats of posies, but for those that needed a four-wheeled helper; not to worry, there were rental carts available for a modest price of $5 an hour from a street vendor. Shoppers of all ages were in attendance. 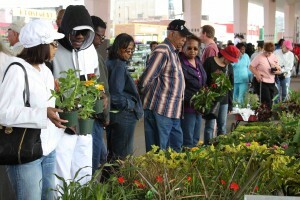 Everyone couldn’t help but have a great time with the magnificent weather, abundance of food and incredible deals on vegetables, trees, shrubs and of course the hot ticket of the day – flowers! What goes great with flowers? Music and food, of course, and there were plenty of both on this ‘Flower Day’! The air was thick with the sweet aroma from open-air grilling. Several food vendors served the masses ribs, chicken and shrimp all grilled to perfection along with the traditional fare of burgers and hot dogs. Music was featured at the gazebo as well as in the main thoroughfare with artists like Alfonso Lawrence playing acoustic guitar and singing top-40 and R&B hits. I checked in with a couple of DJs at 1345 Division Street. 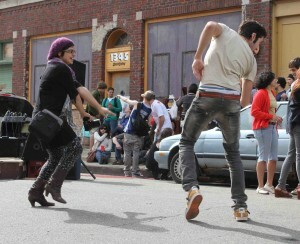 Street dancers at 1345 Division Street. From Riopelle Street all the way to Chrysler Drive there were shoppers galore!